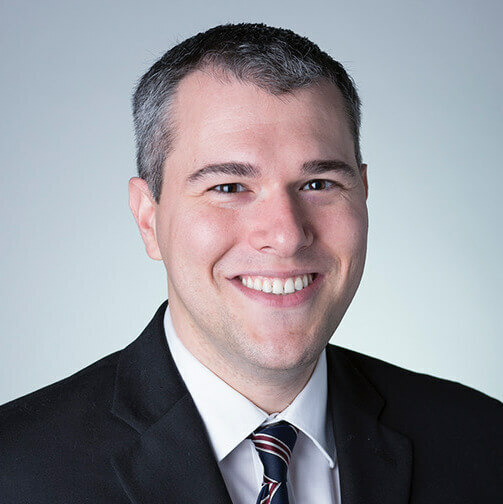 Assistant Professor of East Asian International Relations and East Asian Languages and Cultures Adam Liff has been selected by the Social Science Research Council for its Abe Fellowship program. Liff is among 10 researchers and four journalists from the US and Japan to receive the Abe Fellowship and Abe Fellowship for journalists for the 2016 competition year. The Abe Fellowship is intended to promote collaboration between Japan and the United States, with the goal of fulfilling shared global responsibilities and contributing to improvements in the world’s welfare, and to enhance dialogue and interchange between Japanese and US citizens on a wide range of issues, improving bilateral relations. The fellowships are intended to support high quality research on pressing issues relating to Japan. Liff was selected for his project "Japan and the Evolution of Washington's Post-Cold War Asia-Pacific Strategy." The fellowship provides 12 months of support for research, which includes time based in residence abroad. Liff will be based in Tokyo, Beijing, and then in Washington, DC during his fellowship. BROOKLYN, NY (April 5, 2017) – The Social Science Research Council's Abe Fellowship Program has selected 10 researchers and four journalists from the US and Japan to receive the Abe Fellowship and the Abe Fellowship for Journalists for the 2016 competition year. Both fellowships support research on topics of pressing global concern with the goal of strengthening intellectual cooperation and greater understanding of the US in Japan, and Japan in the US. This year’s cohort come from a diverse range of fields such as public health, economics, agriculture, law, sociology, and political science and projects cover everything from heart disease prevention and postwar peacenegotiations to food waste. Now marking its 25th anniversary, the Abe Fellowship Program fosters the development of a new generation of US- and Japan-based researchers who are singularly committed to policy-relevant topics of long-range importance and who are willing to become key members of a bilateral and global research network built around such topics. In two and a half decades the program has awarded more than 400 fellowships. The Abe Fellowship Program is funded through the generosity of the Japan Foundation Center for Global Partnership (CGP) and is administered by the Social Science Research Council (SSRC). The program is one of the central components of CGP and is named after the late Shintaro Abe, former Japanese minister of foreign affairs. The SSRC has program offices in New York and Tokyo. Darnall, Nicole. Professor of Management and Public Policy, School of Public Affairs, School of Sustainability, Arizona State University. Sustainable Public Procurement in Japanese Local Governments: A Multicity and US Cross-Comparative Analysis. Lee, Kyunghee. Associate Professor, School of Social Work, Michigan State University. Comparative Analysis of the Effects of Poverty on Children's Developmental Outcomes: Japan and the US. Lee, Seitetsu. Visiting Scientist, Global Health and Population, Harvard University. Enforcing the Health System for the Pandemic of Heart Failure in East Asia—A Comparison between Korea and Japan. Liff, Adam. Assistant Professor of East Asian International Relations, East Asian Languages and Cultures, Indiana University at Bloomington. Japan and the Evolution of Washington's Post–Cold War Asia-Pacific Strategy. Mooney Jr., Charles. Charles A. Heimbold, Jr. Professor of Law, Law School, University of Pennsylvania. Japanese Markets for Private Business Credit: Prospects for Modernizing Japanese Secured Transactions Law. Nishikawa, Kunio. Associate Professor, College of Agriculture, Ibaraki University. The Future Direction of Japan's Rice Farming Industry under the Trans-Pacific Partnership (TPP) Regime: An Approach from California. Tanaka, Shinsuke. Assistant Professor of Economics, the Fletcher School, Tufts University. Clearing the Air: Comparing and Evaluating Environmental Policies in the Automobile Industry in Japan and the United States. Uchida, Hirofumi. Professor, Graduate School of Business Administration, Kobe University. Research on Startup Finance in the US. Watanabe, Kohei. Associate Professor, Teikyo University. Food Waste in Japan, US, and Europe—Detailed Grasp of the Magnitude, and Analyses on the Formation of Awareness. Yamamoto, Ryoko. Associate Professor, Sociology, State University of New York Old Westbury. Global Talents on the Local Job Markets: Academic Globalization and Post-graduation Decision-Makings Among International Students in Japan and the United States. Berg, Nate. Journalist, Freelance. Urbanization, Technology and the Evolution of Japanese Housing. Masters, Jonathan. Deputy Editor, Digital Editorial, Council on Foreign Relations. The Robot Revolution: Will Japan Stay Ahead of the Rest? Sasako, Minako. Staff Writer, International News Department, Yomiuri Shimbun. Widening Gap and Sustainable Society: Case Study of Sandy Springs. Semuels, Alana. Staff Writer, Atlantic Monthly. Single Mothers in Japan and Sweden and the Strength of the Safety Net. “Individually, these fellows are all doing important research in their respective fields that we hope will influence policy. But as a cohort we think they reflect the breadth of urgent, global problems that the US and Japan must partner together to address. That is what the Abe Fellowship Program is about,” said Mary McDonnell, executive director of the SSRC. For more information on the Abe Fellowship Program, please visit www.ssrc.org. The Social Science Research Council (SSRC) is an independent, international nonprofit with the mission of mobilizing social science to disseminate essential knowledge. Founded in 1923, the SSRC fosters innovative research, nurtures new generations of social scientists, deepens how inquiry is practiced within and across disciplines, and mobilizes necessary knowledge on important public issues. Based in Brooklyn, NY, the SSRC currently administers 22 programs in the US and around the world. For more information on the SSRC and its programs, please visit www.ssrc.org.